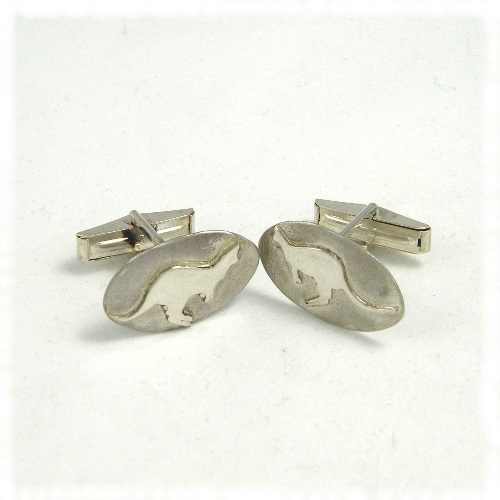 Cufflinks with a kangaroo image - not much else to say! 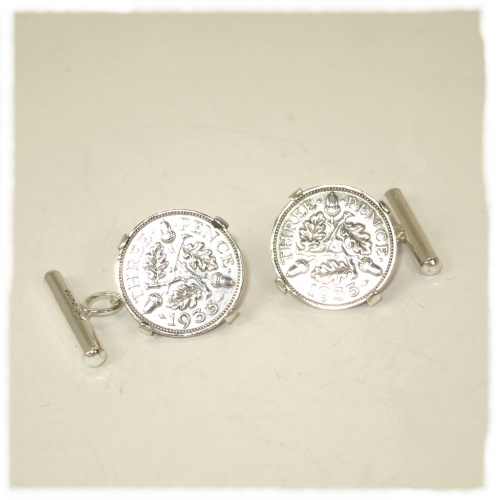 Current versions have a different bar on the cufflink fitting (like the bronze coin cufflinks below). They weigh 9g. 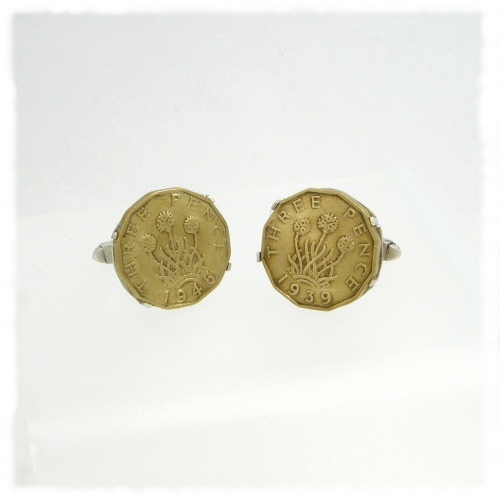 Oval cufflinks with featured hallmarks. The oval is about 20mm by 10mm. The current stock is hallmarked 2017 so the 'n' in the picture is an 's'. 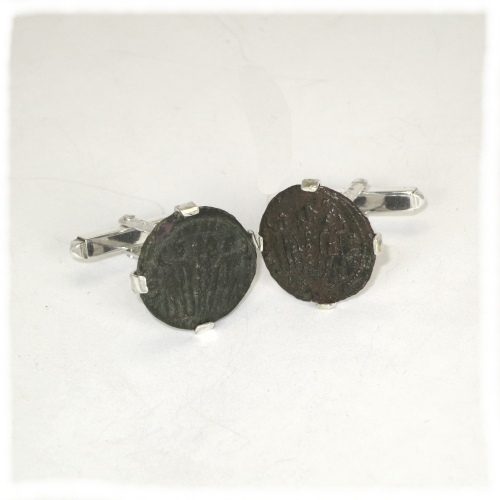 Bronze Roman coins mounted in a claw setting that allows a good view of the front of the coin. They are 3rd century AD and the reverse, which is the side on display, show soldiers holding standards. 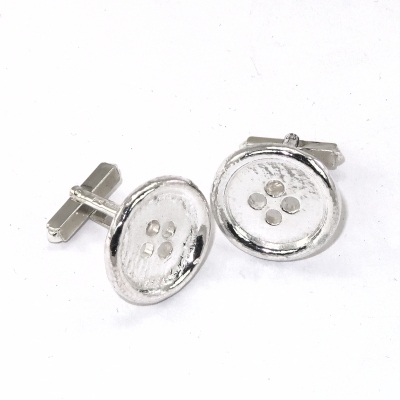 These solid sterling silver cufflinks are made from castings of plastic buttons. 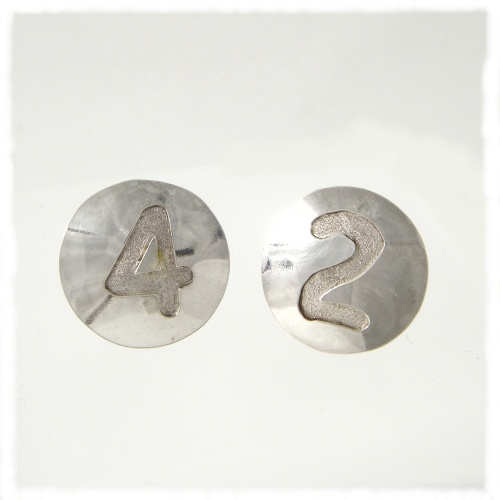 Each button is about 18mm in diameter and is fully hallmarked. 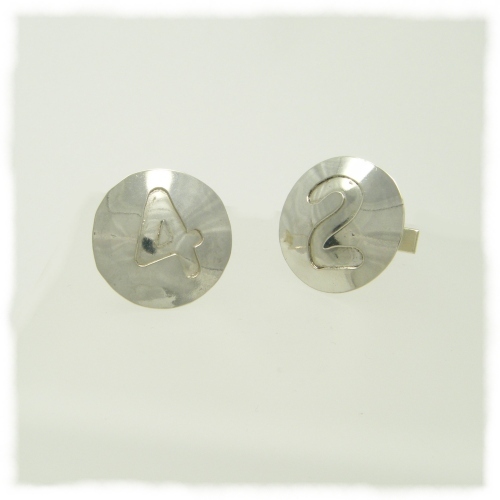 Two cupronickel British threepenny (3d - a 1p = 2.4d) bits mounted as sterling silver cufflinks. If I can find them I should be able to make bespoke sets from the years 1937 to 1967, though there were none struck in 1947 and few in 1946 and 1949. The precise detail of the mounts tend to vary too. I can do the 1939 & 1945 ones shown. Also currently I have a pair of 1937 3ds mounted with claws like the image above and a pair of 1943 in a rub over setting rather than claws - that is a circular band of silver squeezed tight around the coins. I also have pairs of 1937,1938,1940 to 1944, 1952-55, 1957,1960-1964,1966 & 1967 brass 3d coins 'on the shelf', which can be set in a fitting of your choice. I also have a pair of Jersey 3d coins from 1966 that could be mounted. These could also be mounted as a brooch or pendant. 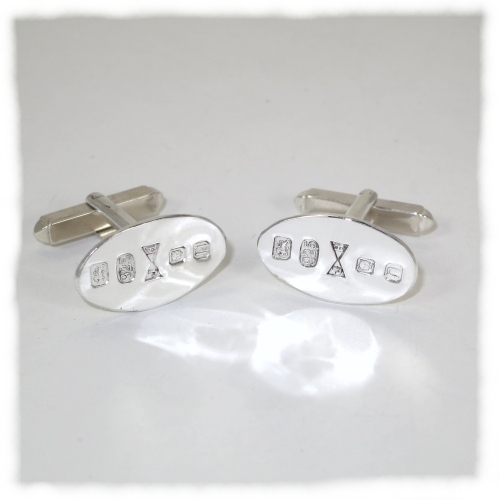 Silver threepenny bit cufflinks are just below. As an alternative to the bronze 3d coins above, here are two earlier silver threepenny bits mounted for cufflinks. These have chain backs, but I could make a pair with spring backs. I also have a pair of farthings (1/4 d) one is 1939 and the other 1941 that could be mounted. 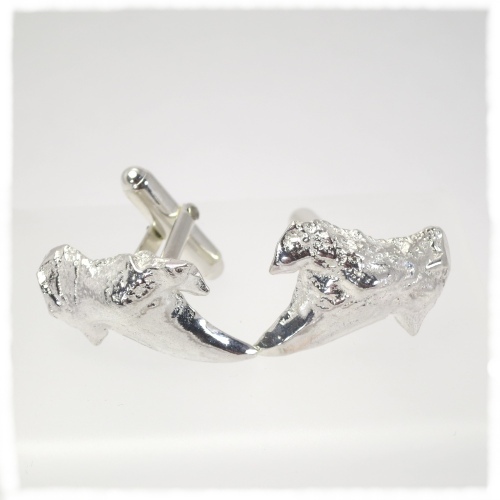 These cufflinks are cast from fossilised sharks' teeth. Some pairs are of the same tooth, others have similar teeth as above. They weigh about 15g and are nearly 20 mm from tip of tooth to back of gum. If you want to see the exact pairs available please email me before ordering.